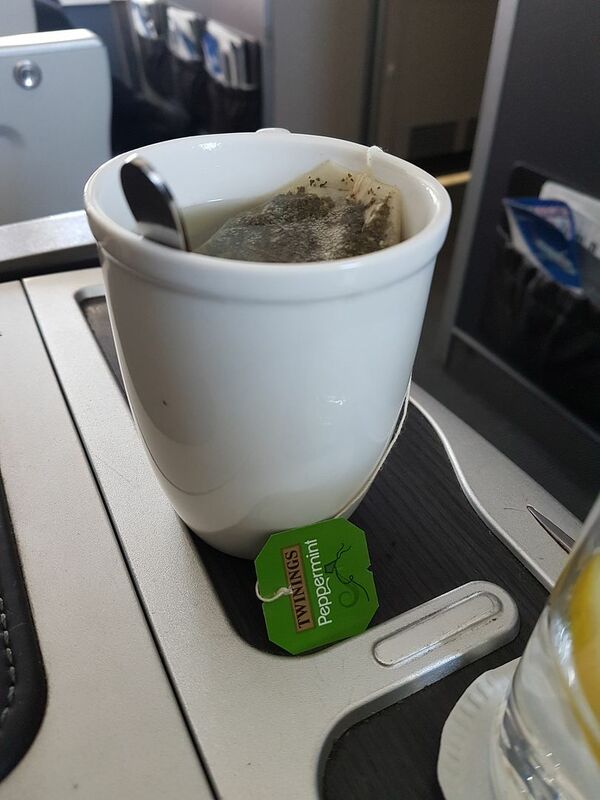 I was on the inaugural TLL-LHR yesterday, what would have been Band 3, now "long". 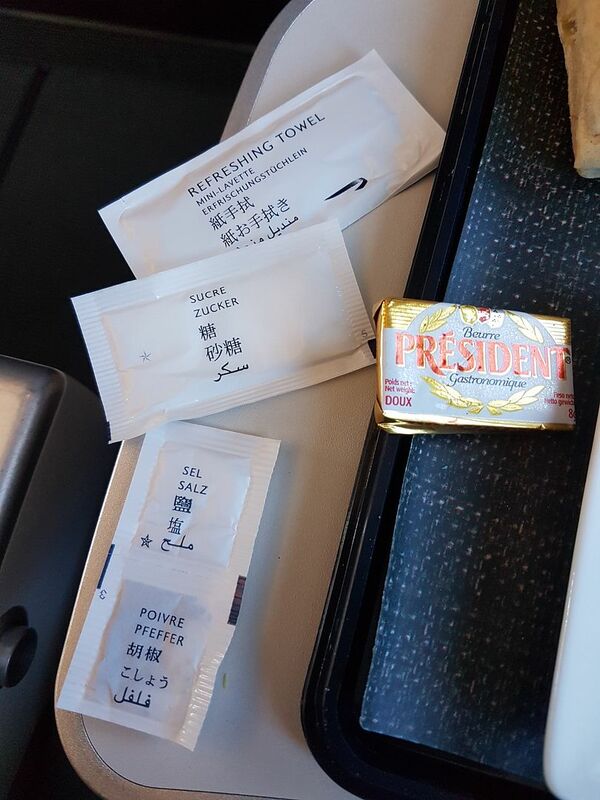 Departure time was 1355, so narrowly missing old afternoon tea time. 7 of us in Club, and 2 crew serving on this A321, so a good crew/pax ratio. No menus handed out, magazines were, but only much later on in the flight when they were discovered. The crew had no idea they were loaded. Menus might have been hidden away somewhere. Blankets (but no pillows) were on the seats. 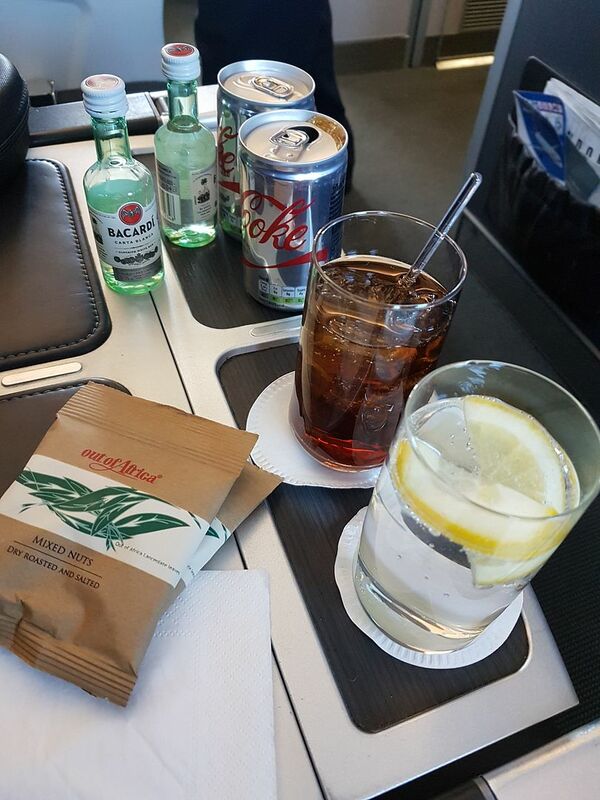 First drinks run, no champagne on the trolley, but I guess it's on demand (I saw an open bottle in the galley later). I was asked if I wanted a "small or large" rum & coke. I went with a large. Next the (small) tray came out, complete with starter, cheese, dessert and cutlery. I didn't notice much difference with the cutlery, maybe not worth a multimillion pound investment. Bread was offered. The starter was melon with single prawn, pre-peppered with raspberry sauce. I thought the pepper ruined the dish. Speaking to the crew clearing, she agreed that it was an odd mix. Next the main came out, a choice of cod (?) 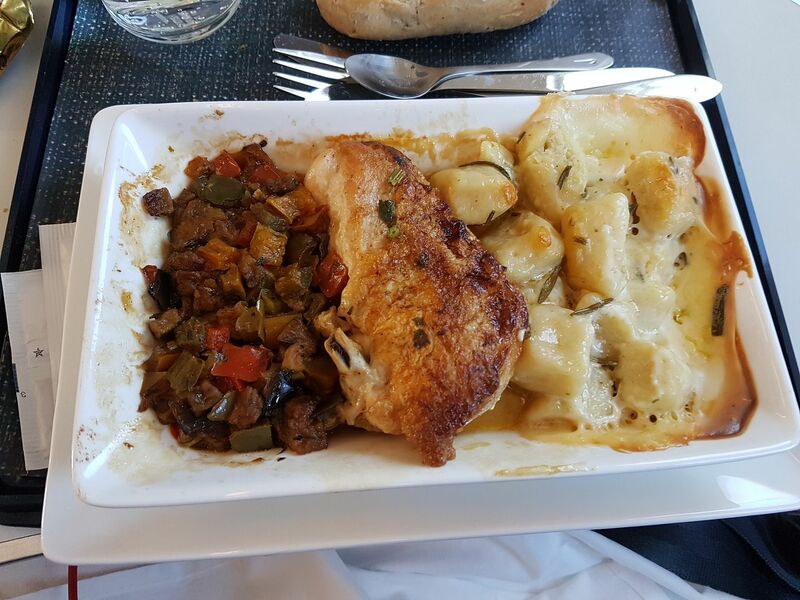 or chicken with rataouille and cheesy gnocchi (bizarre mix), but it was all pretty tasty. More bread was offered. The cheese wasn't to my taste. It would have been nice to have two half portions (didn't there used to be two proper slivers?) rather than one bigger one in case you don't like that type of cheese? Dessert (some sort of chocolate cake) was delicious. Tea/coffee offered after lunch. I went with a peppermint, which was good. I don't like the rim on the new cup, but the overall shape makes much more sense. I do miss the nice blue pictures on the cup though. 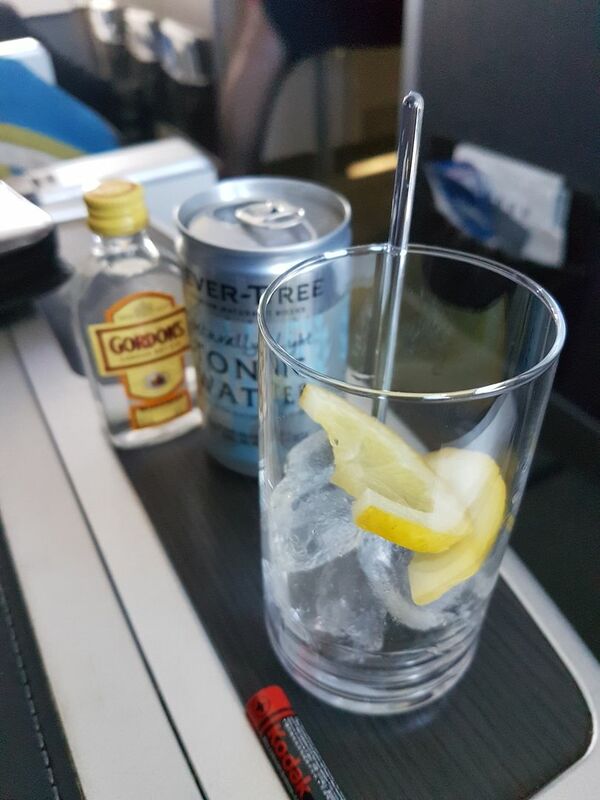 The drinks were free flowing for the rest of the flight, and the crew were very friendly and approachable. Overall, I thought the new system was pretty good, there was plenty of food. 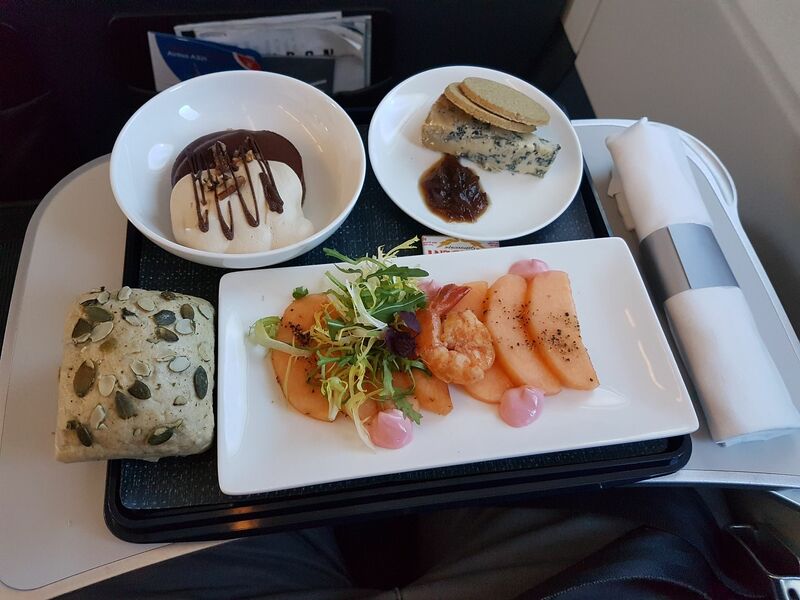 I thought that bringing out the starter/dessert/cheese at the same time was a little odd (but certainly not unknown in Business Class catering). I don't understand why desserts and cheese can't be loaded separtately from the starters, then brought out on their own at the end. Seeing as the trays are so much emptier now, they could even get rid of them entirely, and just use the existing tray liner as a place mat. That would seem more premium? 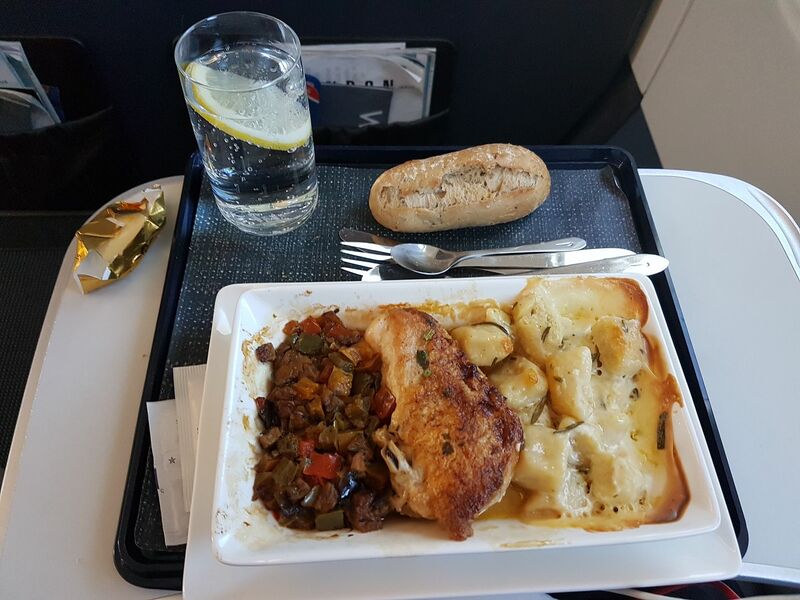 I was talking to the crew later in the galley, and whislt they seemed happy with the improved food visually, they said they were embarassed to serve the new medium food, as there just wasn't enough loaded. One of them also said she was very sad to see the scones go ("isn't that what afternoon tea is all about?! ").